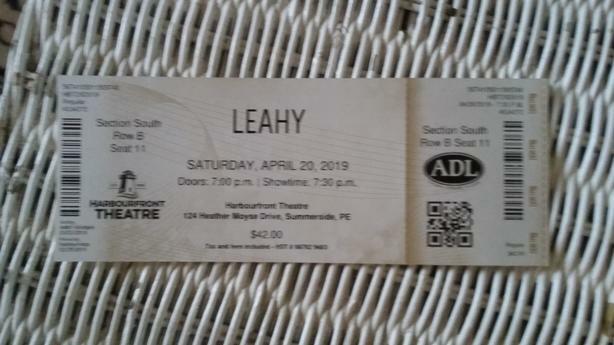 I have 1 ticket for the Leahys at harbour front theatre to sell. Its 2nd row seat. I am trying to recoup expense not make money. Ticket was purchased for my daughter who isn't able to attend.